OmiseGO, founded in 2013, is a real-time peer-to-peer (P2P) cryptocurrency exchange and payment platform on the Ethereum blockchain. Once completed, the network will be freely available to the public and completely permissionless. OmiseGO's primary objective is to "unbank the banked with Ethereum." Users do not require bank accounts which makes the platform accessible to more people including those in countries which lack the typical banking infrastructure. Financial transactions available on the network include payments, loyalty programs, remittances, and payroll deposits to name a few. The OmiseGO blockchain constitutes a scalable decentralized exchange, liquidity provider mechanism, and asset-backed blockchain gateway. There are incentives for users who hold large quantities of tokens to gain more by securing the network and putting those tokens at stake. The distributed open protocol used on the platform enables different wallets to "talk" to each other. OmiseGO's token, the OMG, is useful for two reasons. The first is as an investment token, and the second is as a means of paying transaction fees on the network. With the transaction fee, it will be used to incentivize the miners who verify the transactions. OmiseGo has three major focus points in development at the moment. This is their Decentralized Exchange (DEX), Scalable Blockchain, and Application Interface. The DEX design is complete and they are well into the development stages, the Proof-of-Stake design (relating to their Scalable Blockchain) is still in progress, and they are currently working on Ethereum integration into their current wallet system. 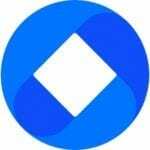 For more details and information regarding OmiseGo visit their official website or Whitepaper.